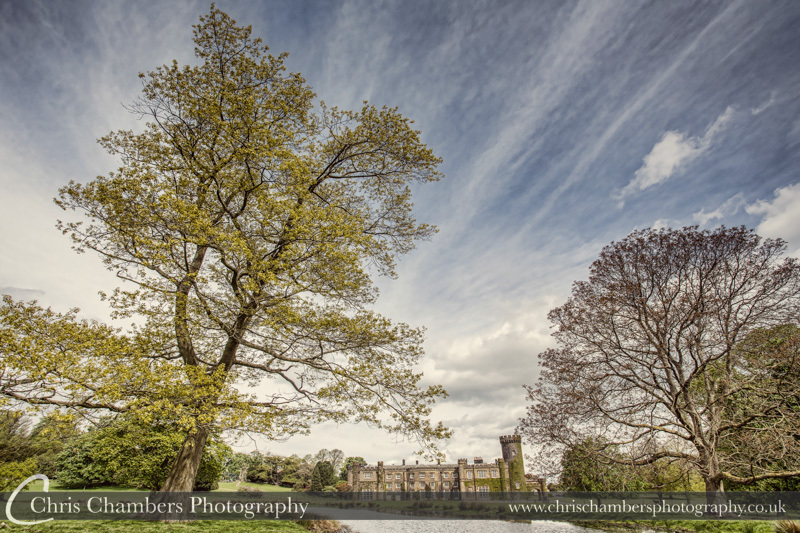 Following their recent pre-wedding shoot it was good to be back at Swinton Park near Masham North Yorkshire for Mollie and Mark’s wedding. 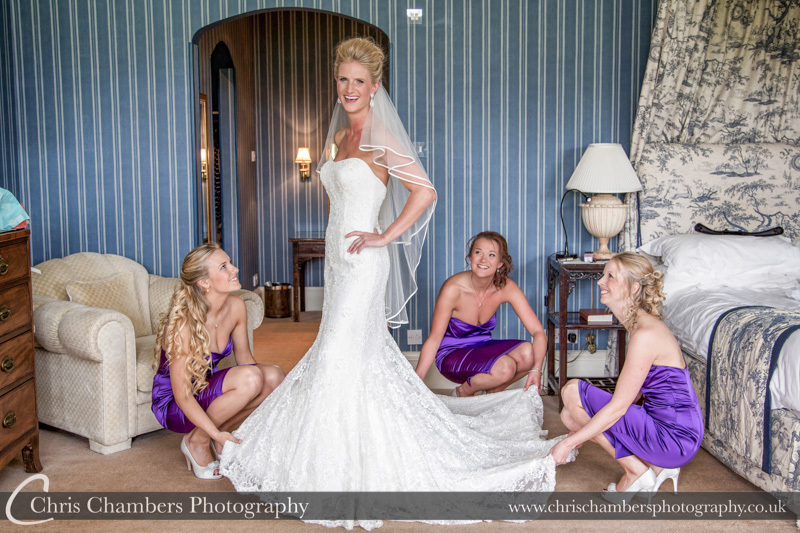 Our day started with bridal preparation photographs with Mollie and the bridesmaids in the bridal suite. 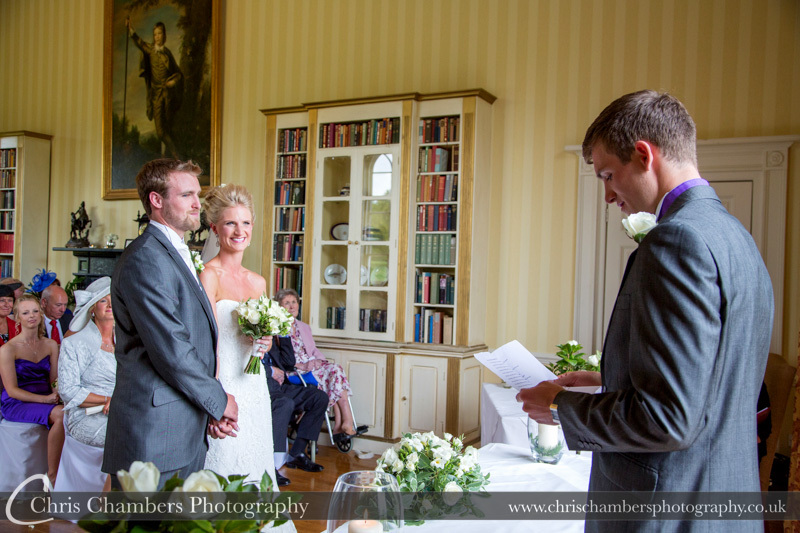 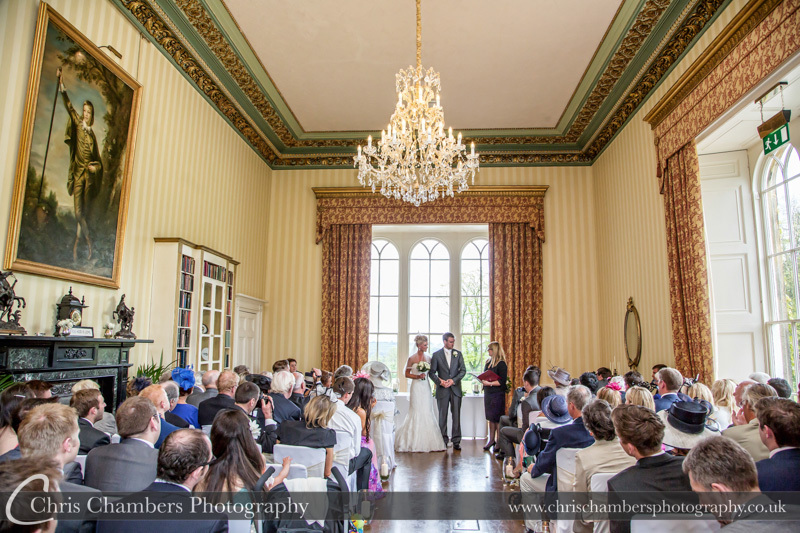 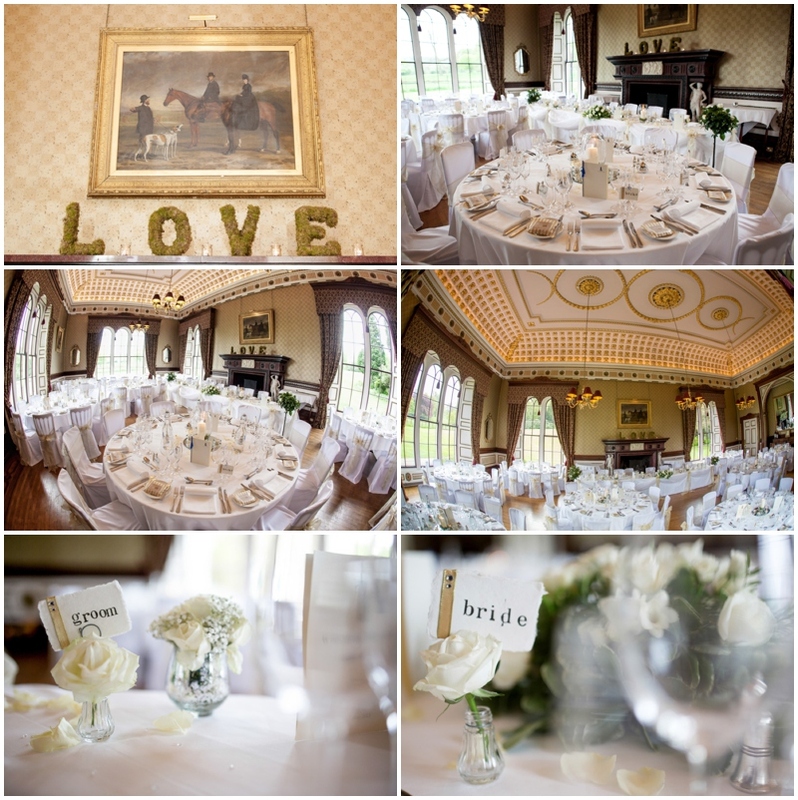 The large rooms are filled with light and are ideal for the wedding detail photographs that work so well in making up the story of the day. 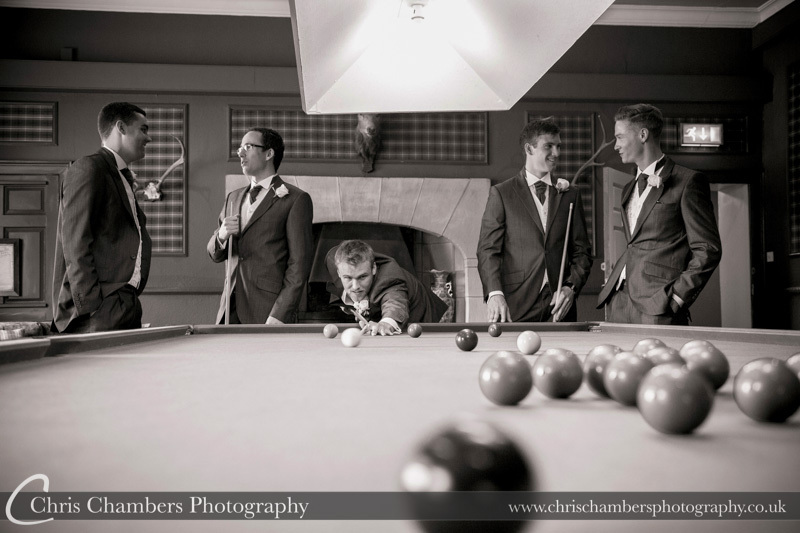 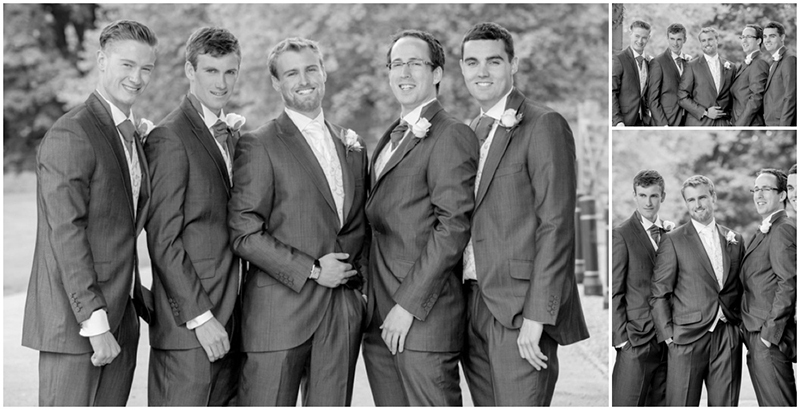 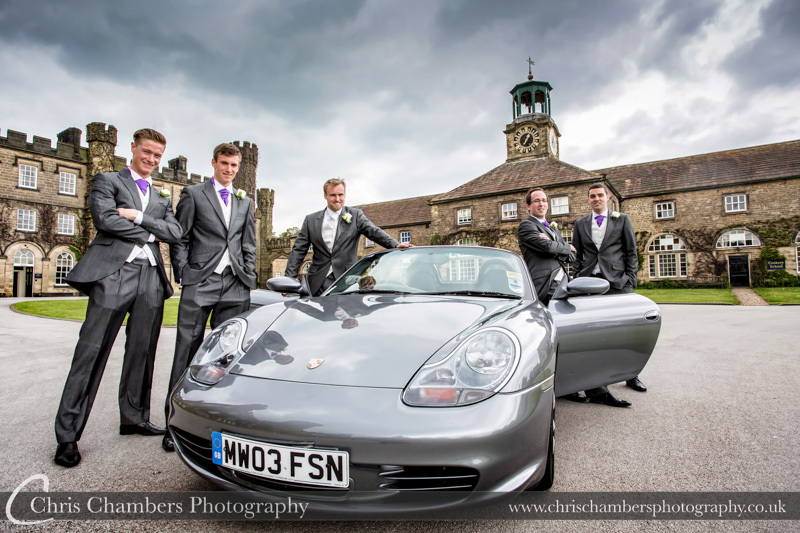 Following photos of make up being applied, wedding dress, shoes, wedding gifts being exchanged etc it was time to join the groom and groomsmen getting ready in one of the nearby rooms before a quick stop in the billiard room and then outside for shots of the guys. 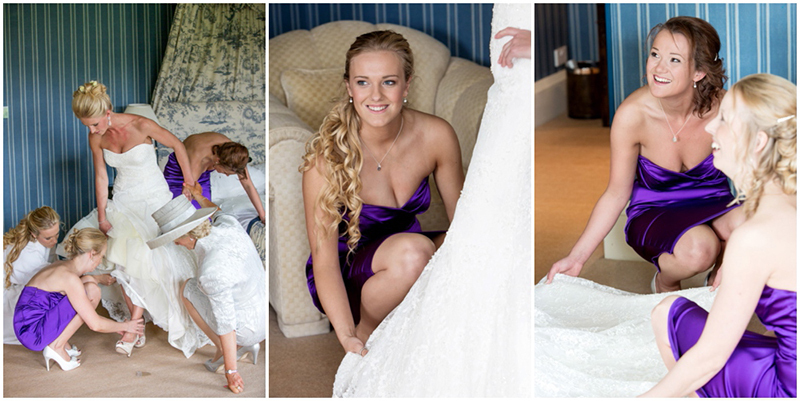 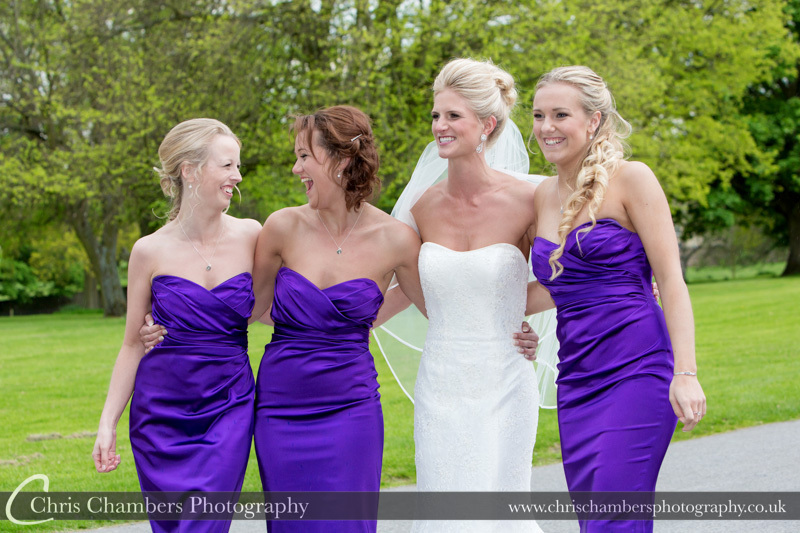 During this time Mollie and her bridesmaids had finished dressing meaning it was the perfect time for me to rejoin them in the bridal suite as the bridesmaids adjusted and finished off fixing the details on Mollies wedding dress. 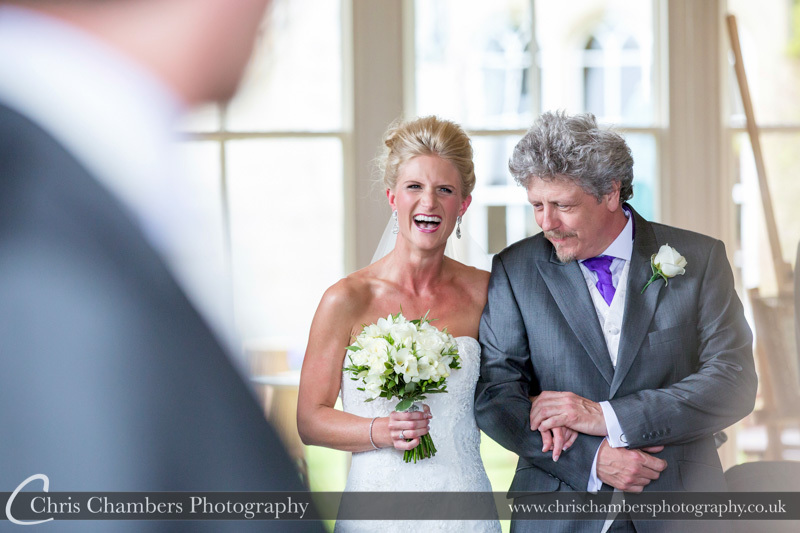 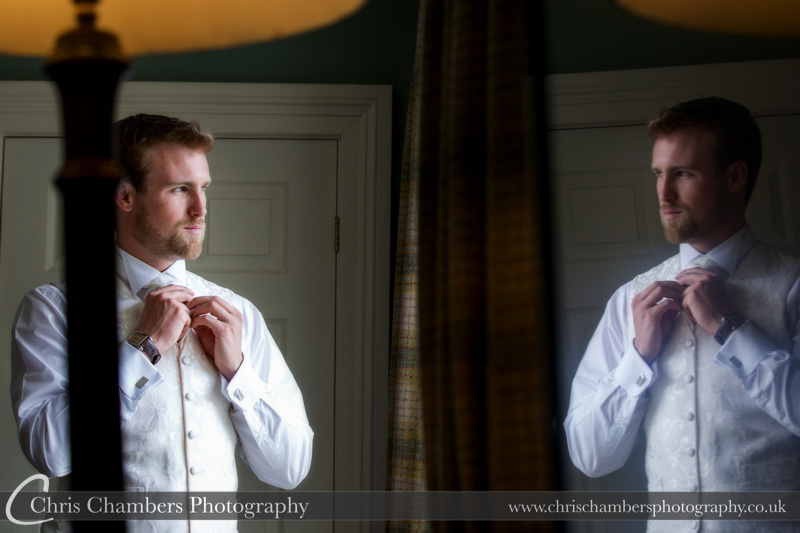 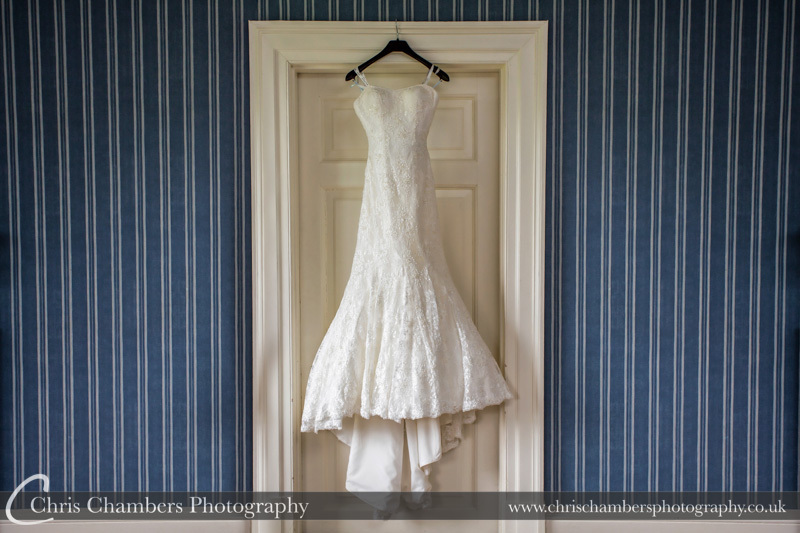 By being ready a little early it meant we had time for relaxed photographs in the bridal suite before the wedding ceremony, it also meant we were able to capture that special moment when Dad sees his daughter in her wedding dress for the first time. 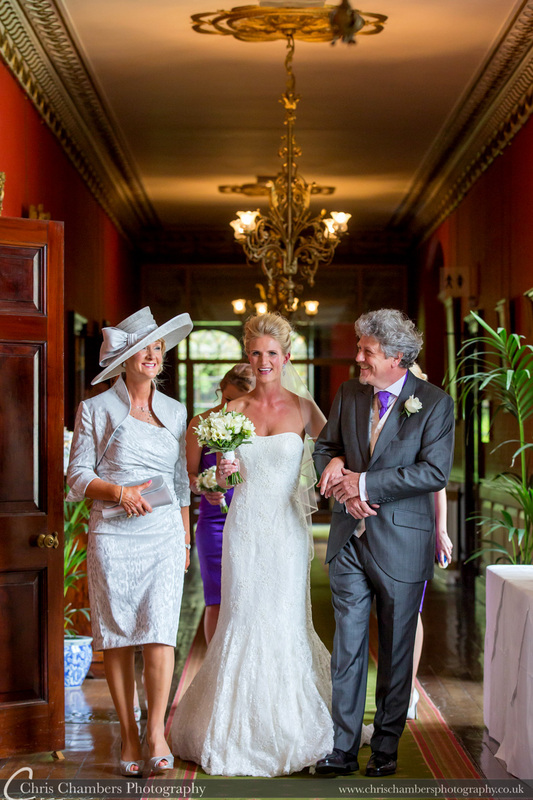 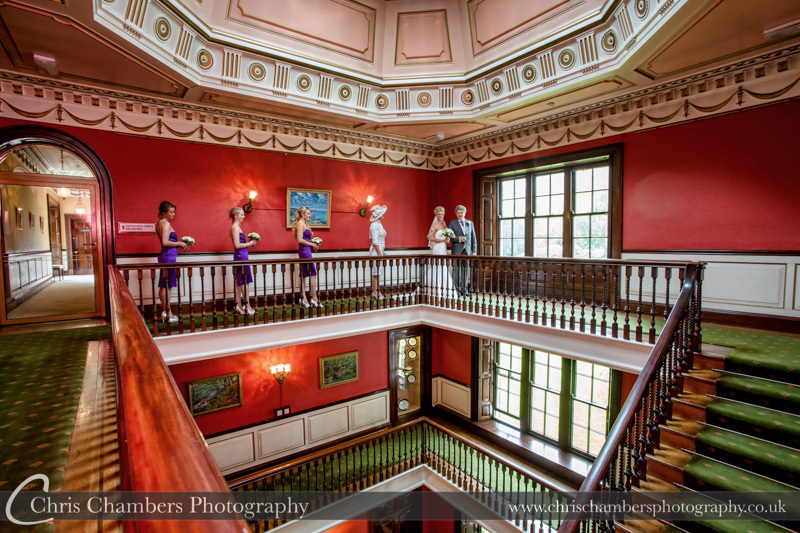 Swinton Park has an amazing staircase and is a must get series of photographs as the bride walks to the wedding ceremony room accompanied by dad and the bridesmaids. 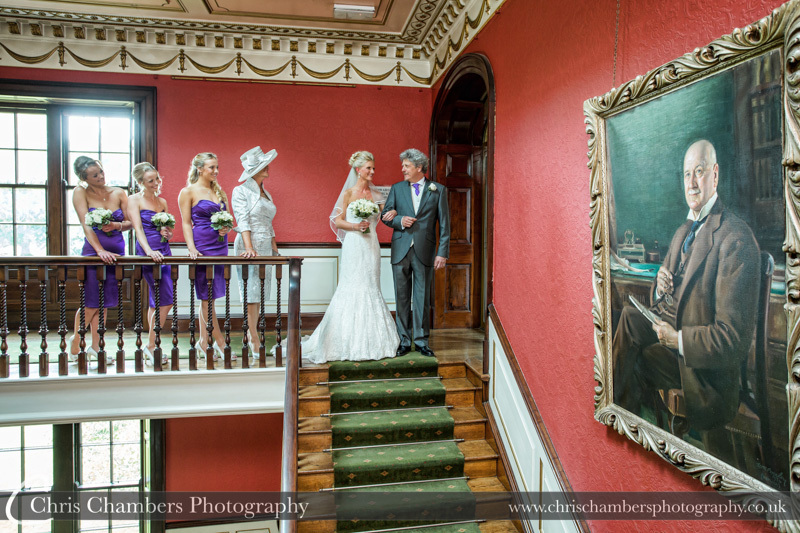 After a number of photographs on and around the staircase we dashed down to the library for the wedding ceremony, allowing us to get in position before Mollie made her entrance. 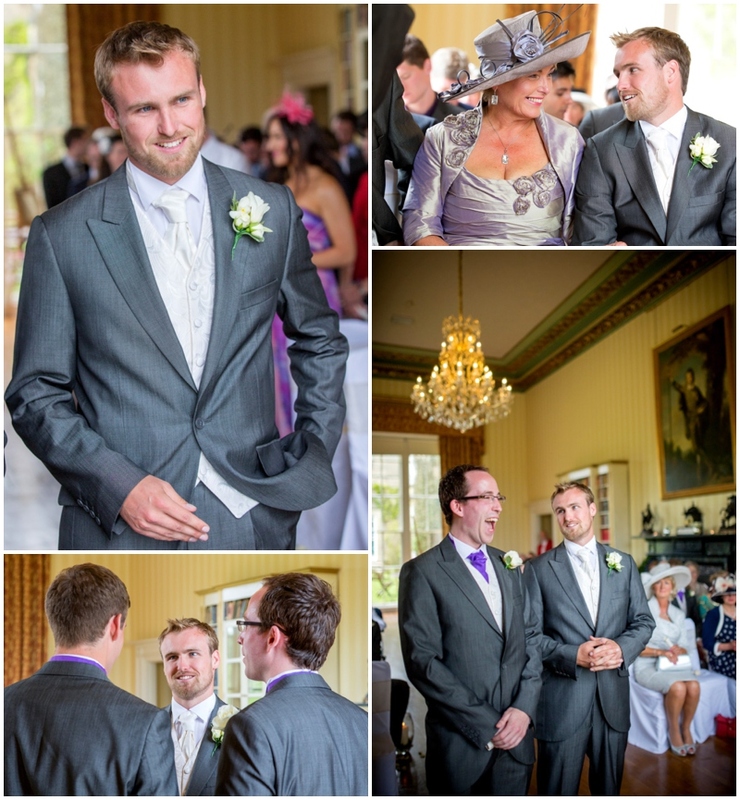 Upto this point Mark had been relaxed, almost laid back, but as you’ll see from the images this soon changed as Mollie began walking down the aisle. 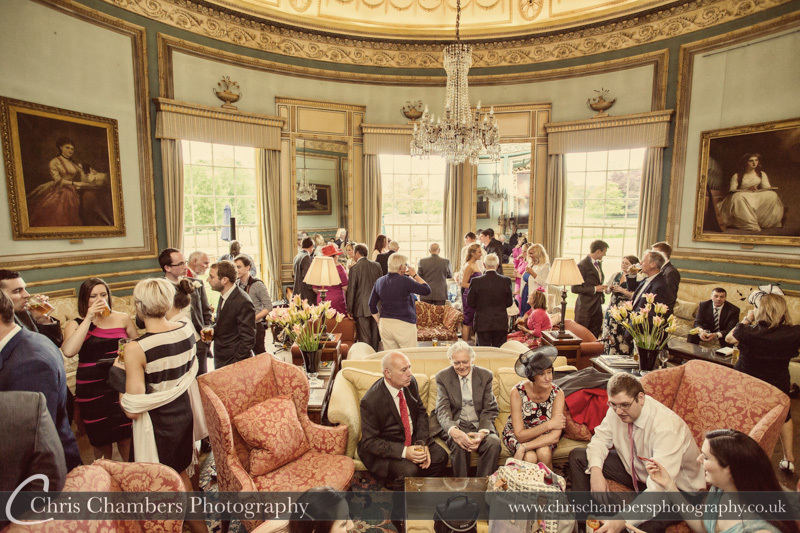 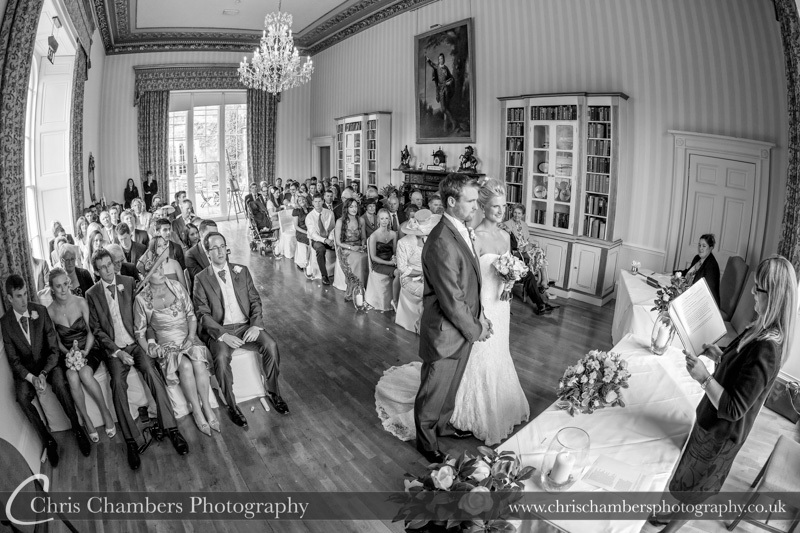 With the wedding ceremony complete guests moved into the drawing room for the drinks reception. 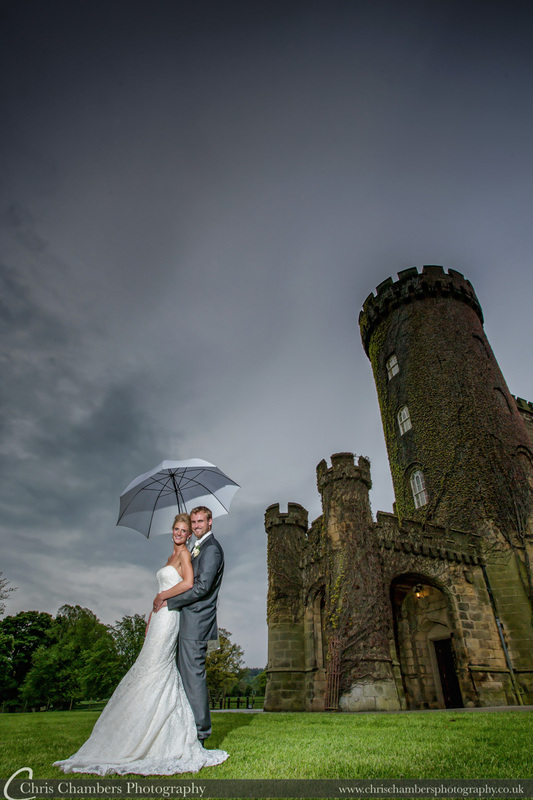 An ever threatening sky added a little more urgency to completing the group photographs before the inevitable rain started. 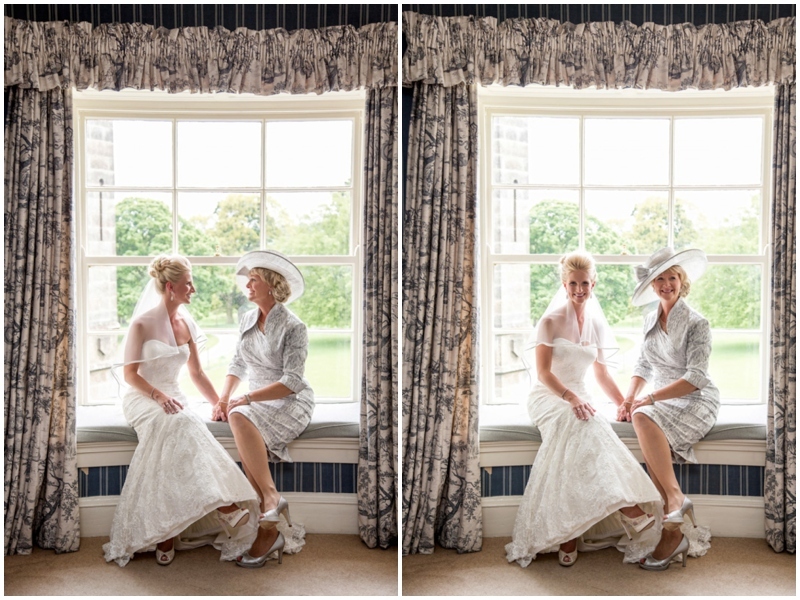 Thankfully we had just about completed the formal images when we had to break for cover inside. 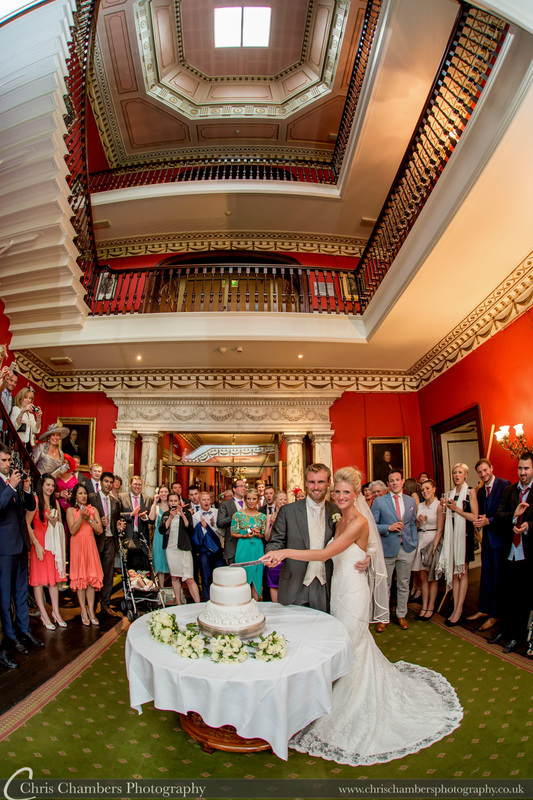 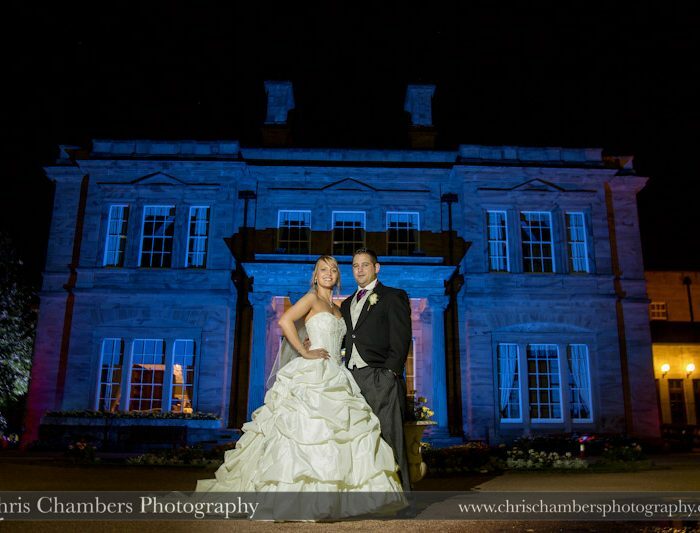 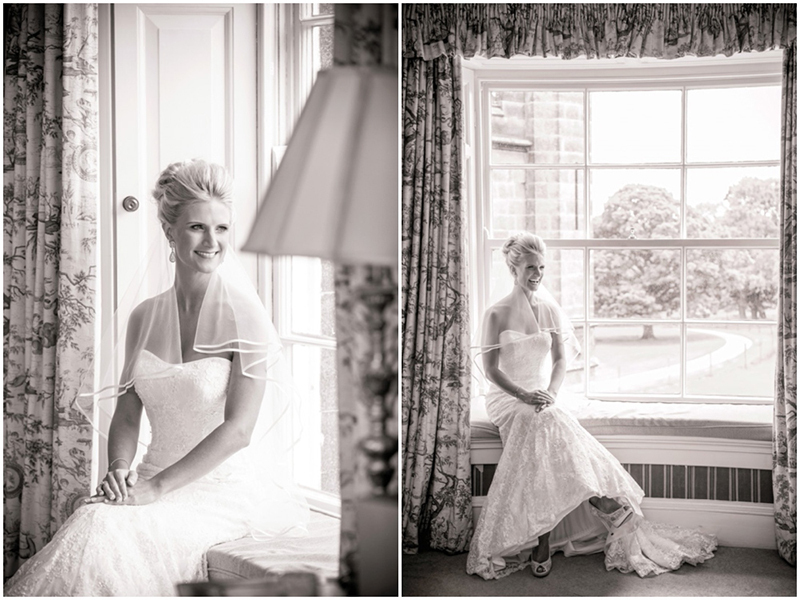 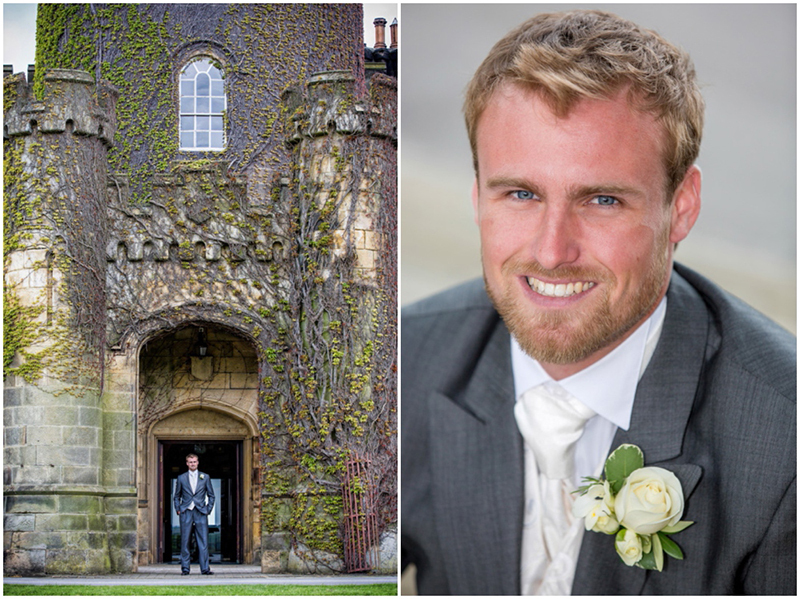 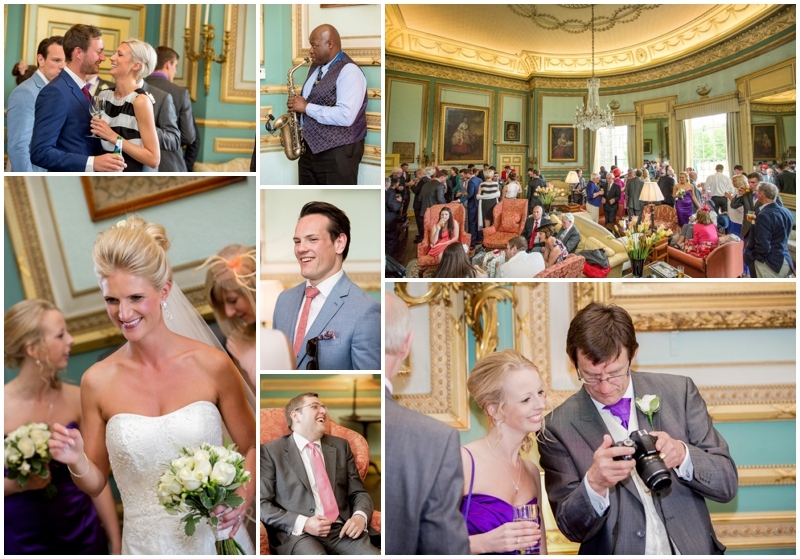 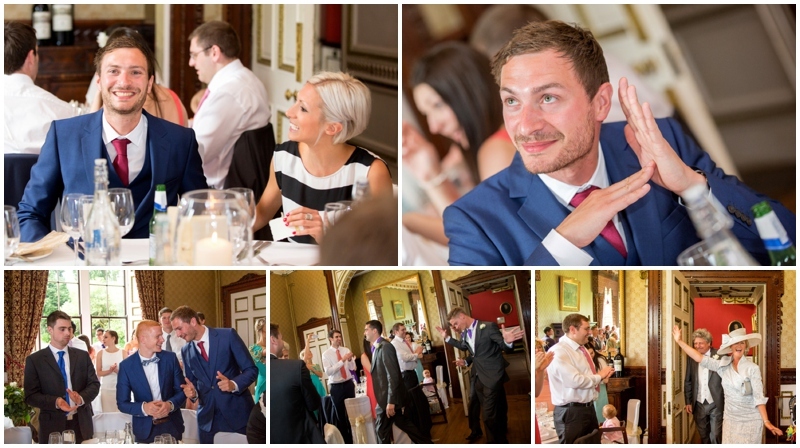 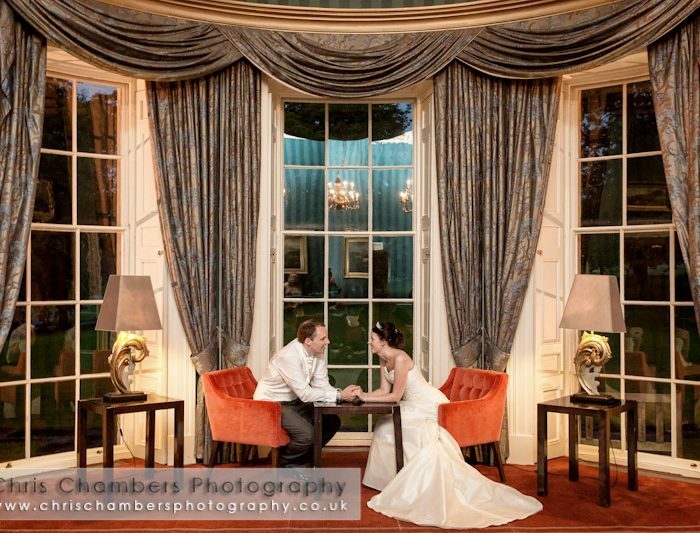 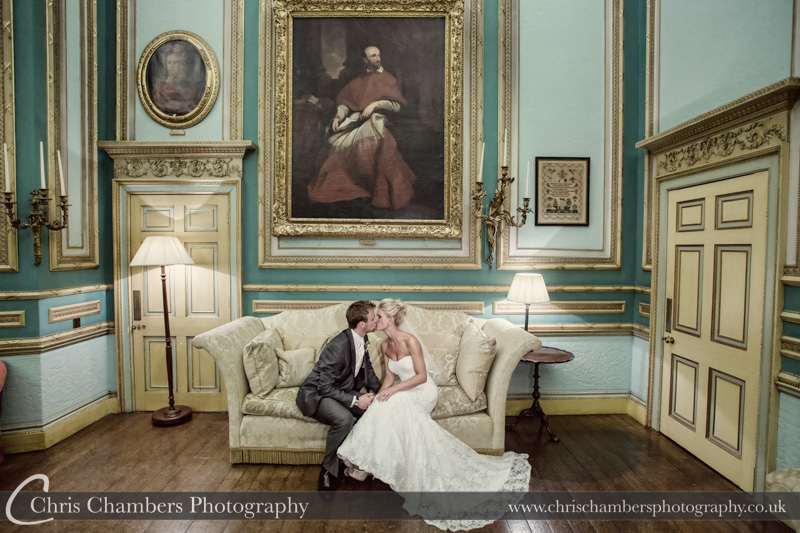 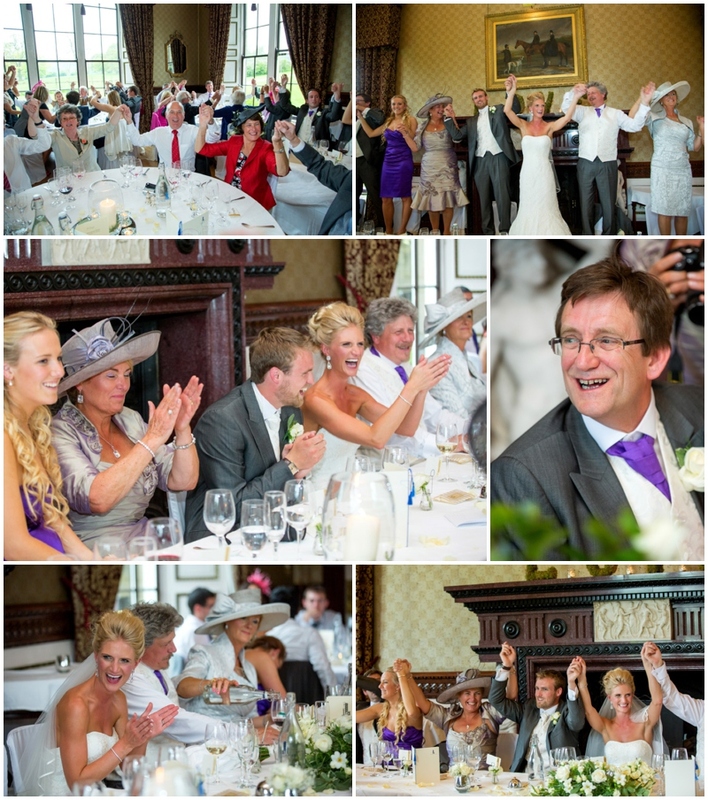 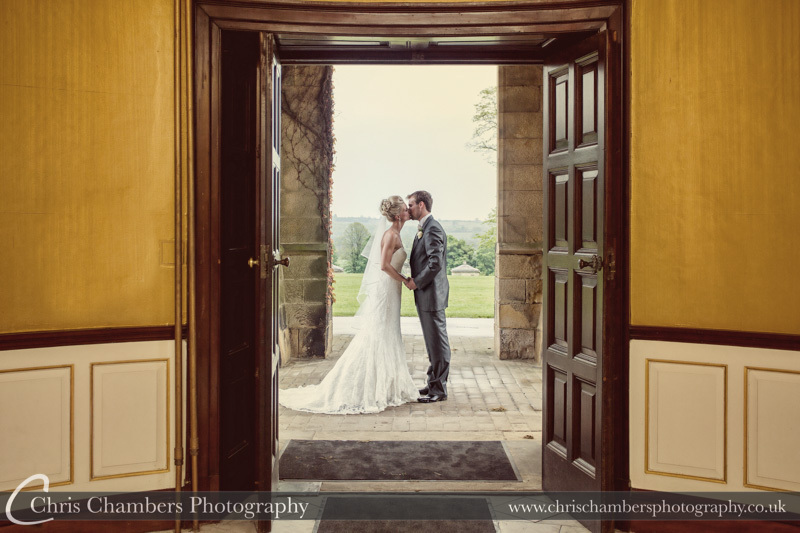 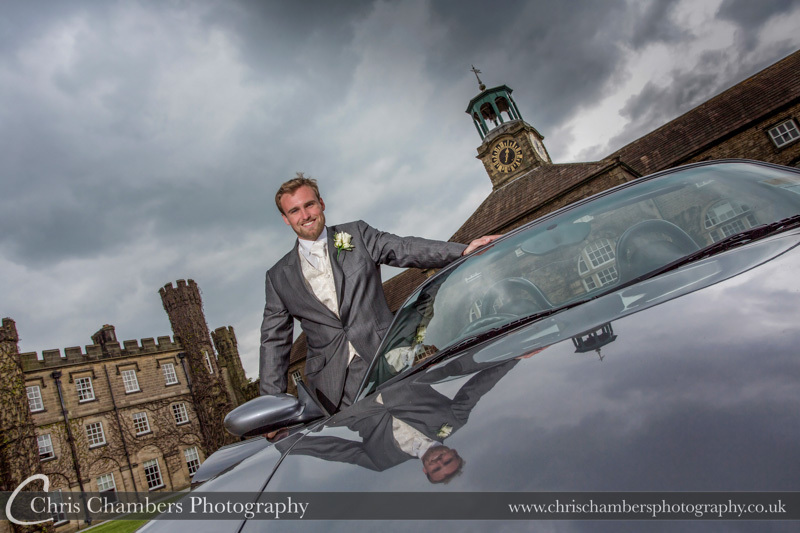 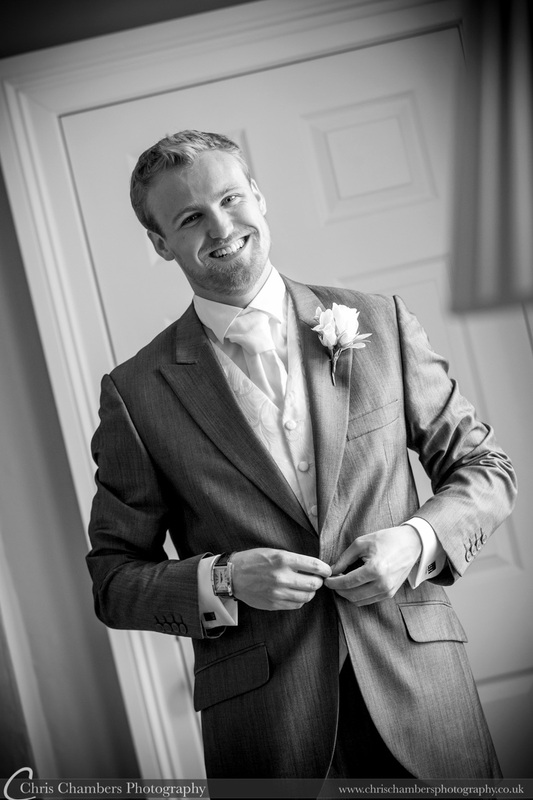 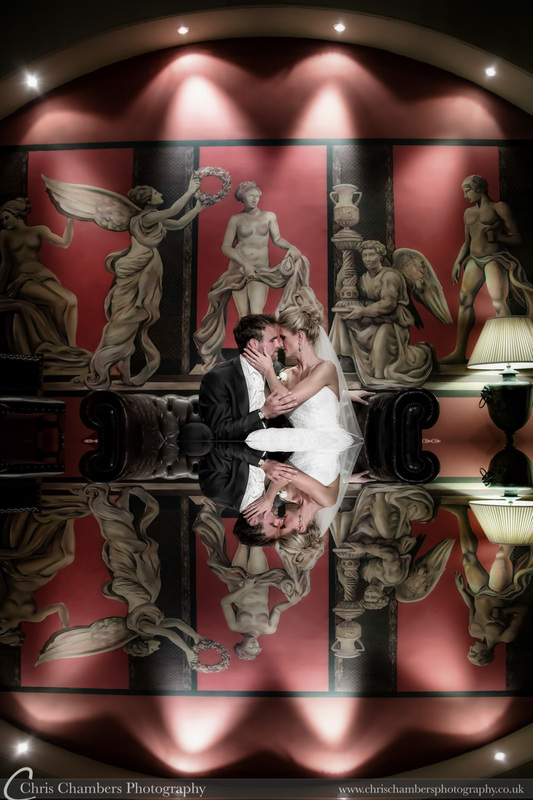 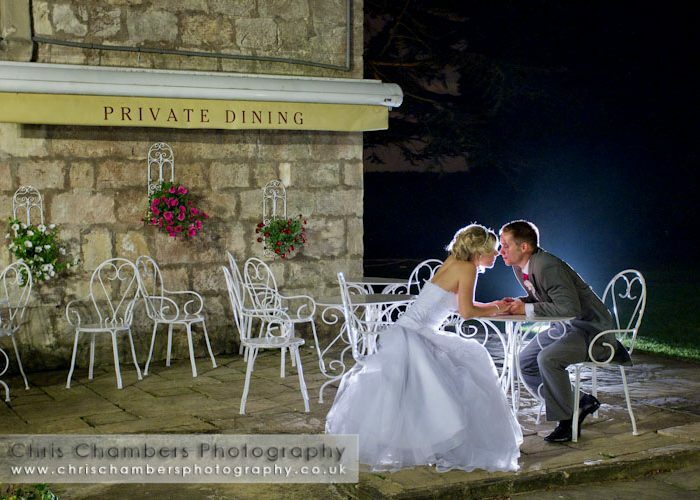 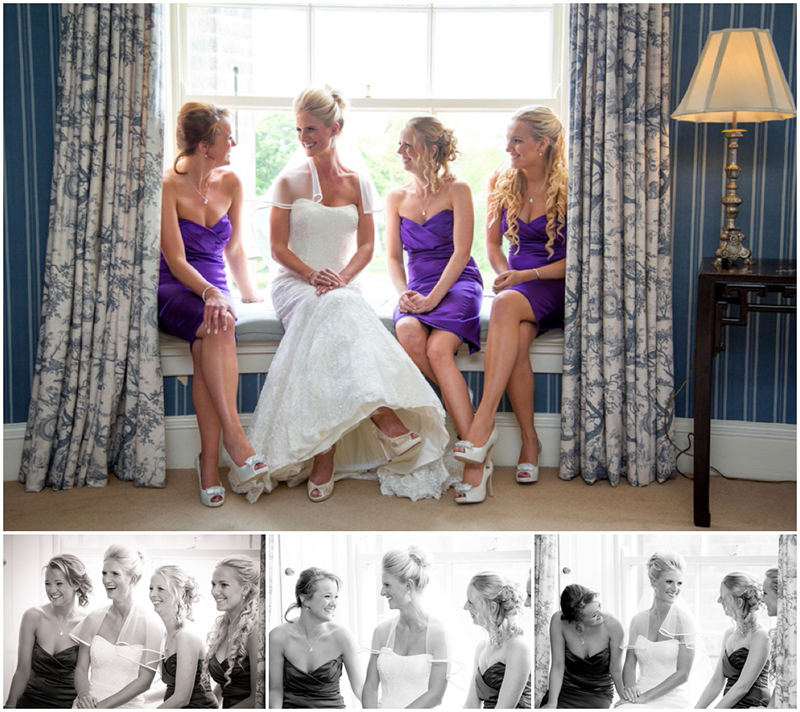 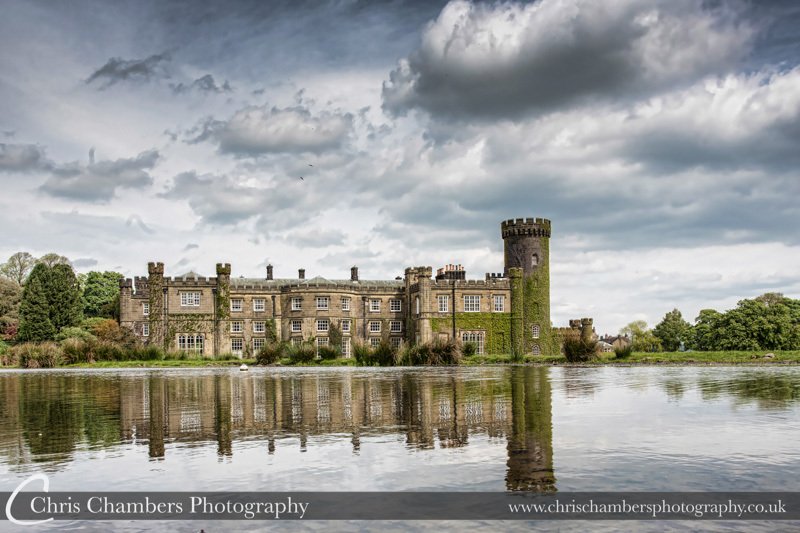 Thankfully Swinton Park has an abundance of locations inside which are ideal for wedding photography. 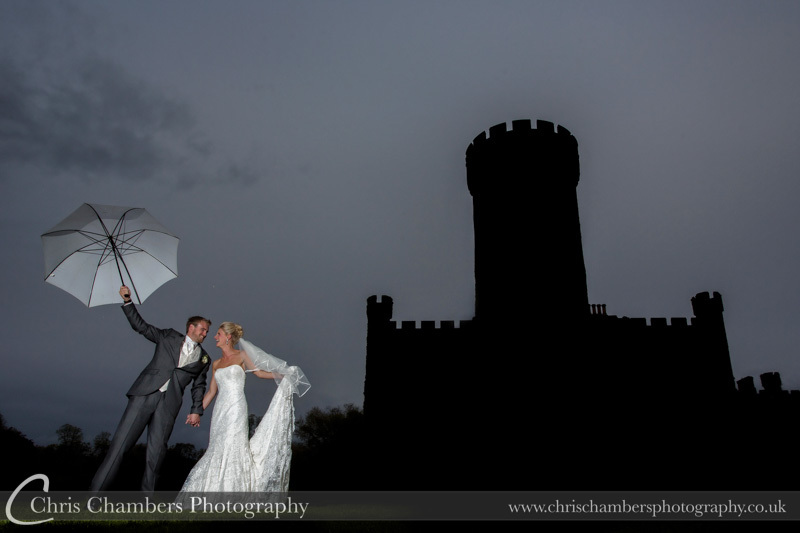 Although having said that we did coax them out into the rain briefly for a few images under brollies. 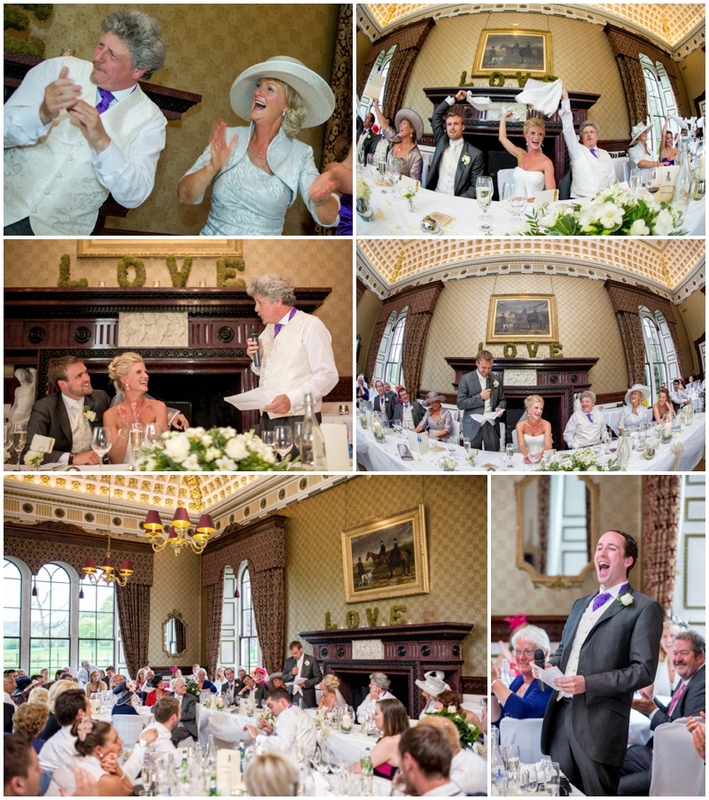 The wedding breakfast and speeches were full of photography opportunities as the singer / entertainer had guests performing various activities and routines which also ensured that by the time speeches commenced guests were all fired up for rapturous applause and big smiles. 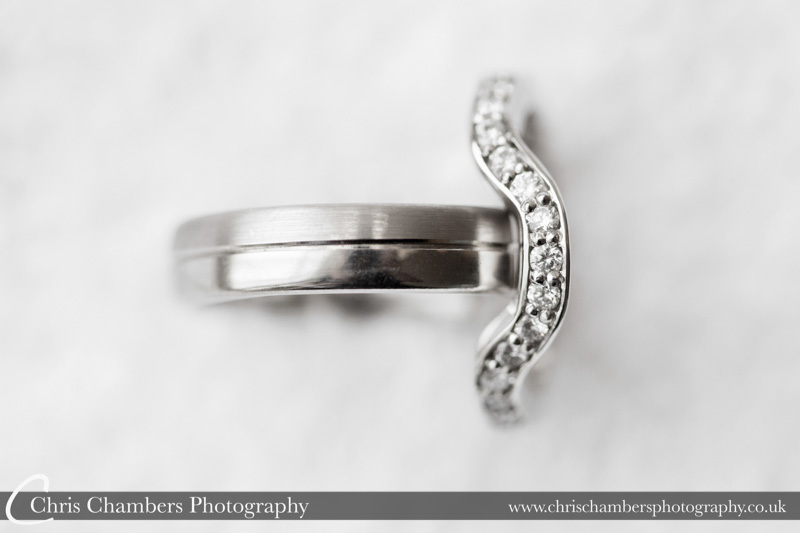 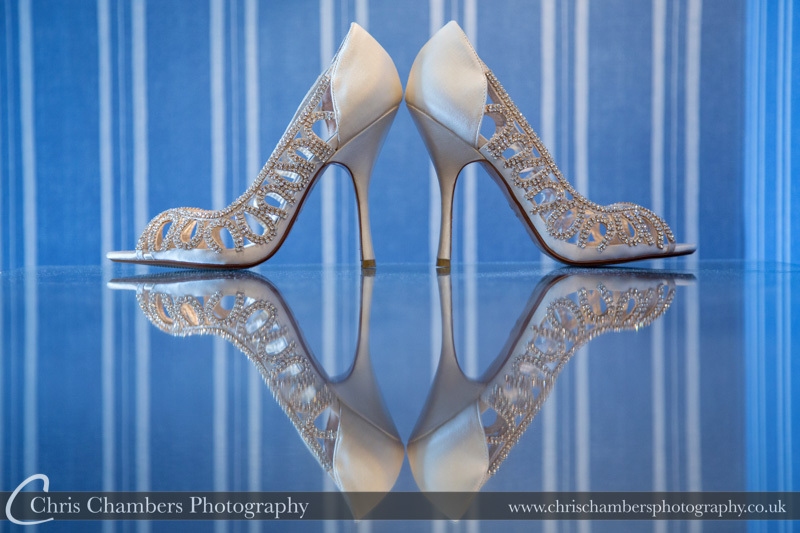 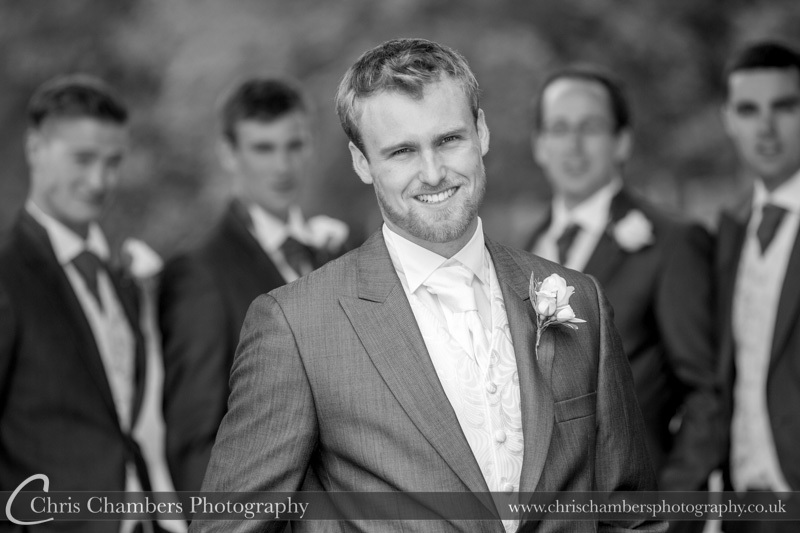 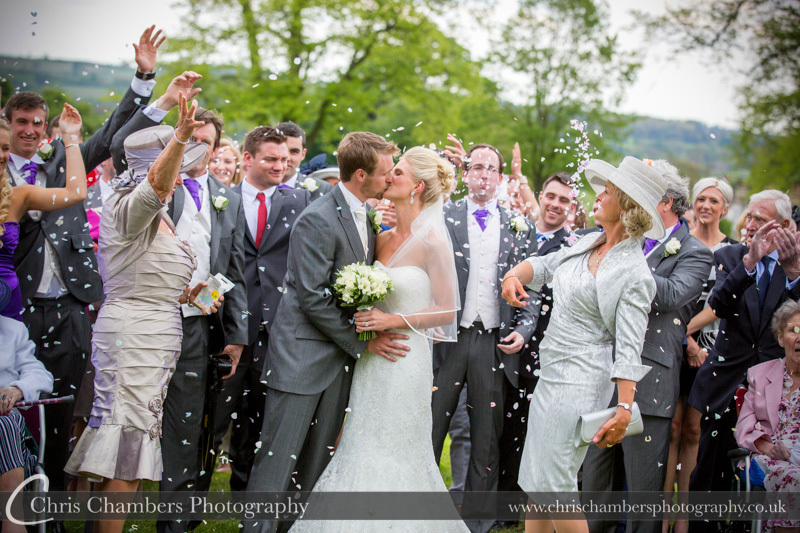 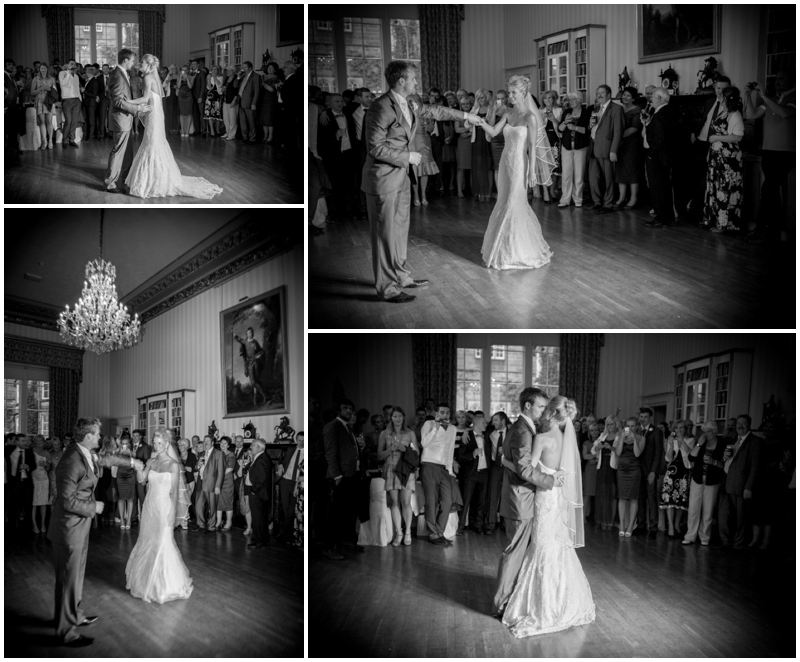 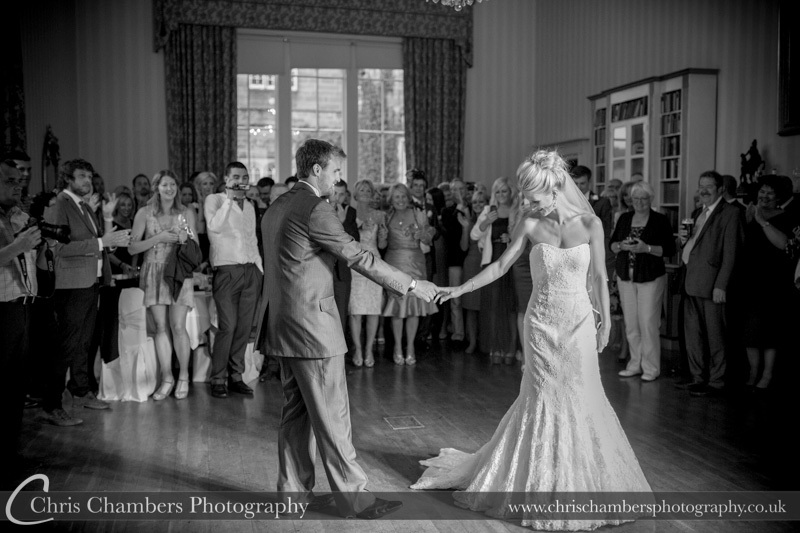 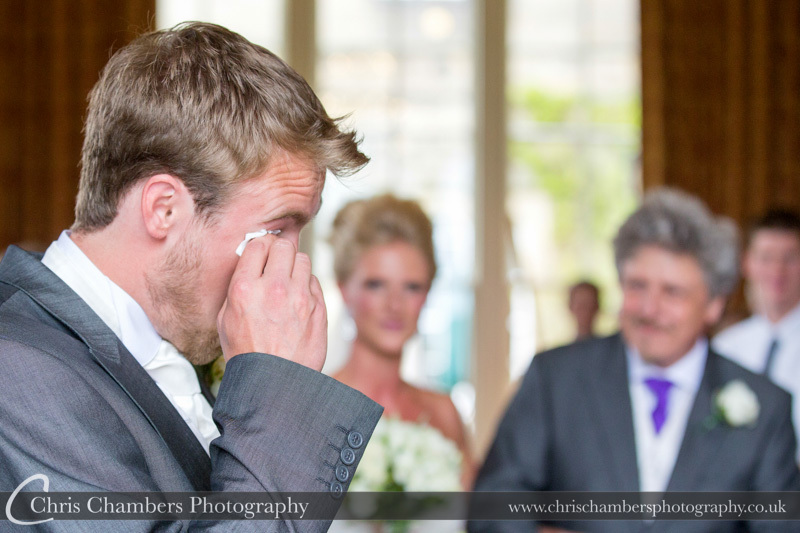 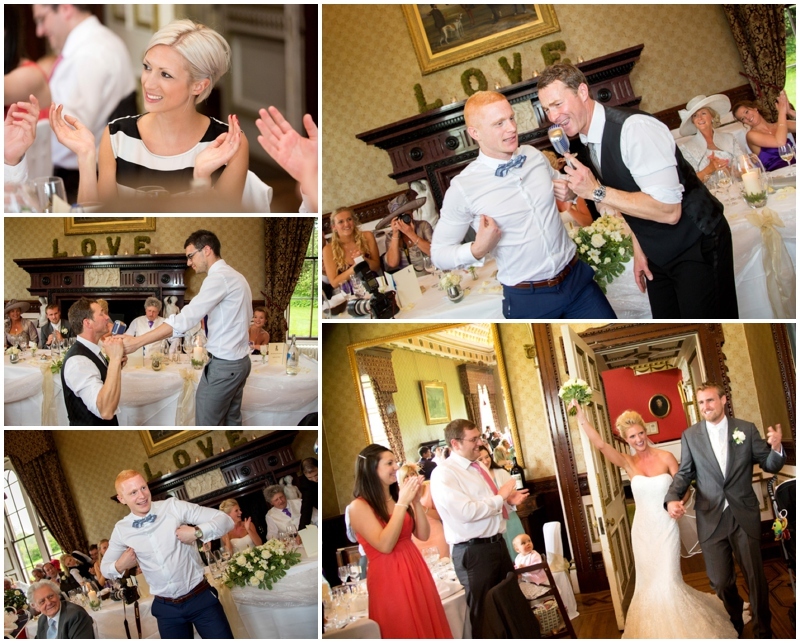 First dance and evening photographs rounded off a great and stunning wedding day at Swinton Park. 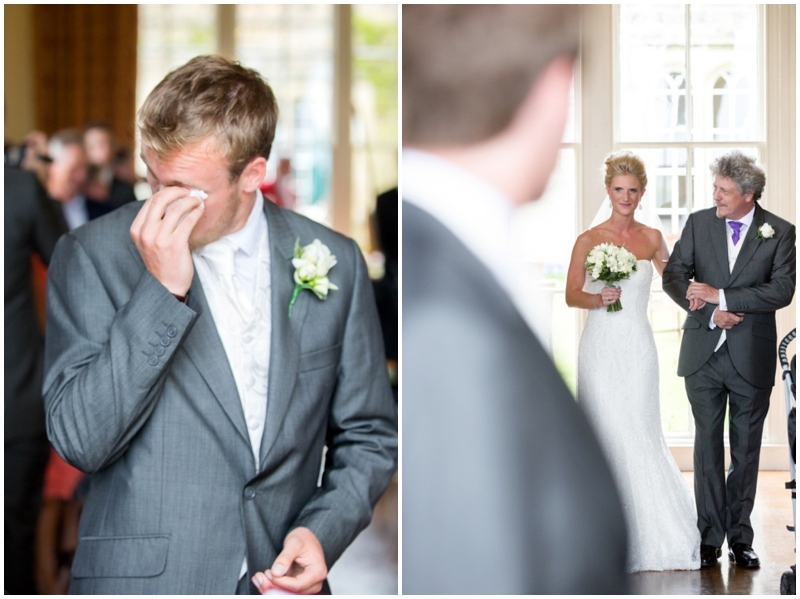 Thank you Mark and Mollie for allowing us to be part of it.